I do not readily discard the household waste but keep trying reusing / recycling most of these. I prefer to reuse household waste in making decorative items. 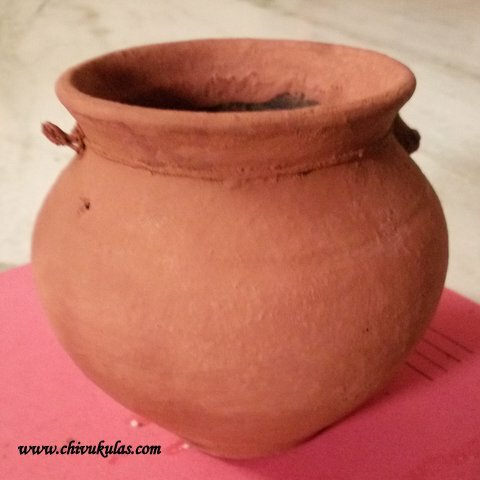 Here is one unused pot which I used for making a decorative vase. 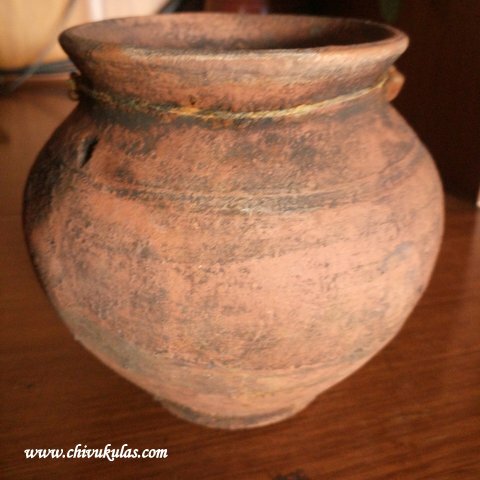 I just washed the earthen pot and let it dry. On drying, I painted the pot with a natural look color. I thought of painting it in dark blue or black but somehow I preferred a natural look. Here how it looked after painting. 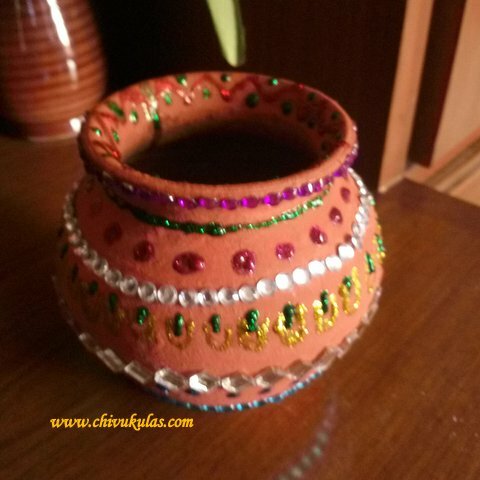 On drying, I decorated the pot with kundans i.e rhinestones and mirrors and designed with glitter glue. And this is how it is after decorating. Well, I don't have a professional hand for making a perfect handmade item. But I feel good with whatever I do as I could reuse the household waste. 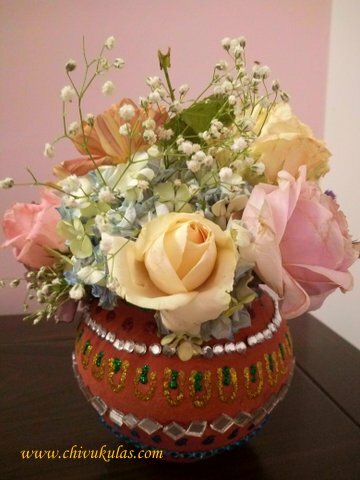 I used this decorated earthen pot as a flower vase and placed fresh flowers in the vase. I placed it in the corner of my daughter's study table. She is too happy to see this. 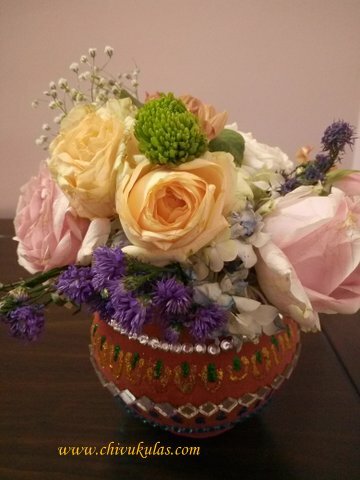 And here is how it looked when placed in the corner of the study table with fresh flowers. 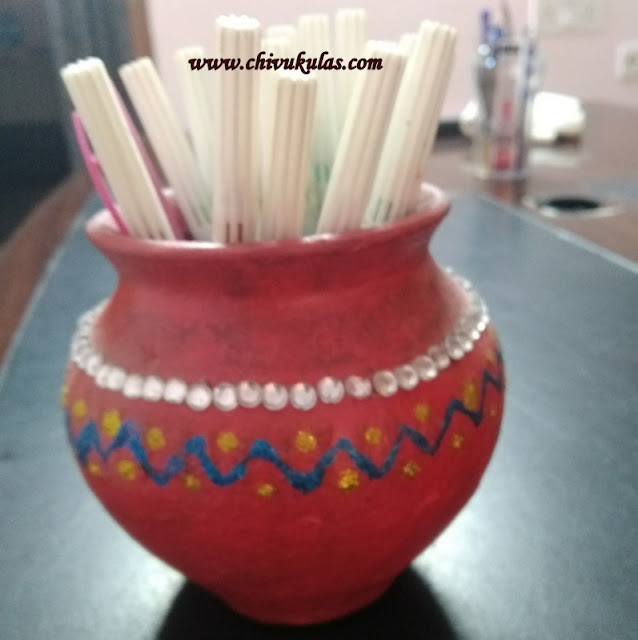 I made another similar decorative post with an unused one and am using it as a pen stand.